I started making these fabric flowers a while ago for my girls and thought they would make great party favors for Claire's party. Here's how I made them. You will need polyester satin in the colors of your choice, hair clips, a candle, fabric scissors, beads to embellish the center, thread and a hot glue gun. 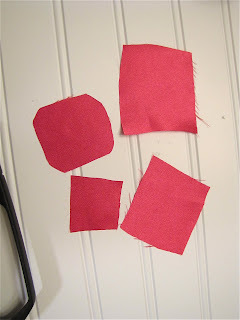 First cut out squares in several different sizes. I think my largest started about 3 1/2". Second, use your fabric scissors to round the edges. 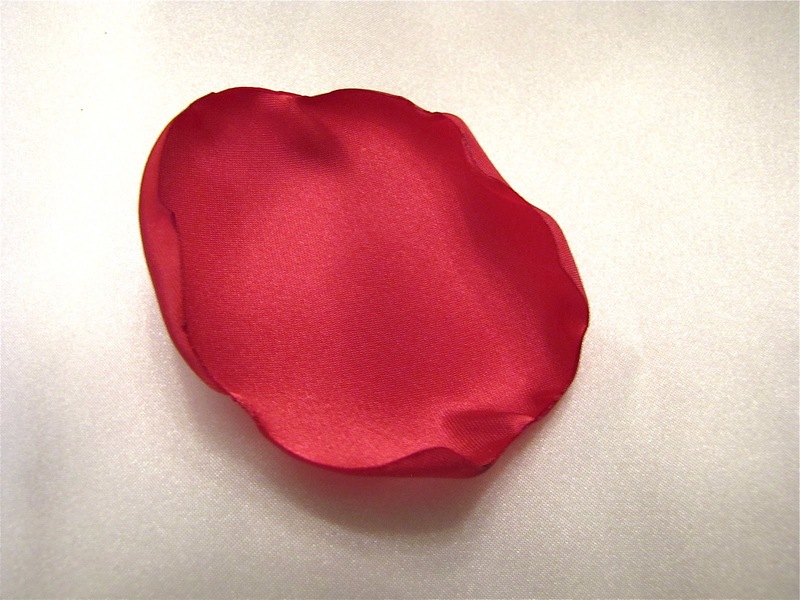 Then hold the edges of your fabric over the flame until it starts melting and turning under. You don't want to hold it too long or the edges will turn black. Then do the same thing to all the pieces. Stack them on top of each other using as many petals as you would like. I like a little fuller look so I used 4 in this one. 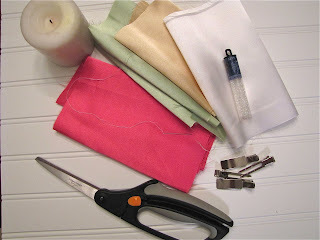 Using your needle and thread sew them all together. Sew your beads to the middle and then hot glue your hair clip to the bottom. Voila! Cute little flowers. Add them to headbands, hair clips, purses or even pin it to your jacket! 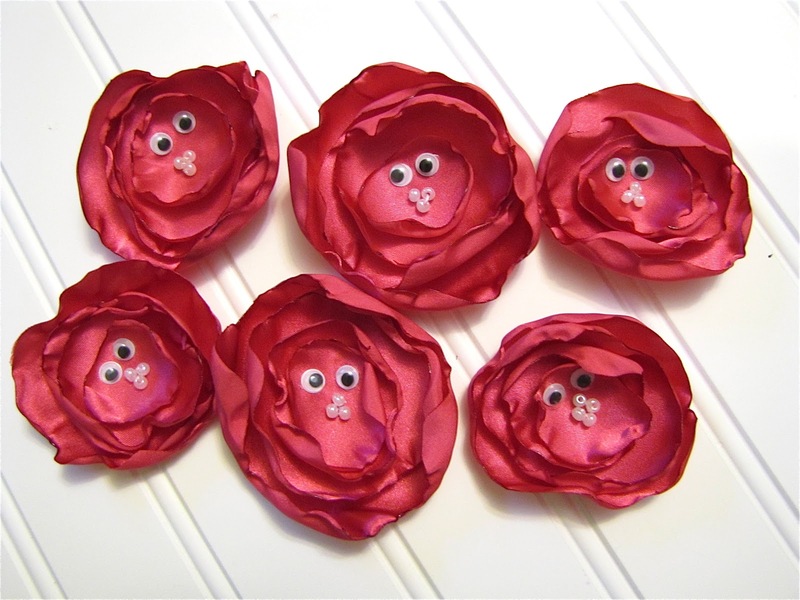 I added eyes to them for Claire's party to represent the talking flowers in Alice in Wonderland.